The Hyatt House features 137 fully equipped guest suites which will make you feel like a resident, not a guest. At this pet-friendly Raleigh hotel, you'll experience spaciousness and a fully equipped kitchen in all the suites. The property is conveniently located in the upscale North Hills development, within walking distance of several shopping, dining and entertainment options. 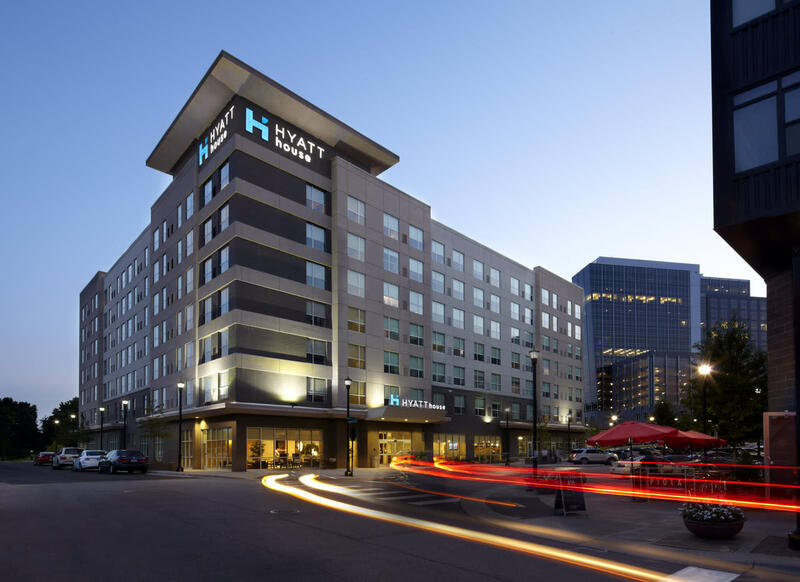 Description The Hyatt House Raleigh North Hills features 137 guest suites equipped with a living area and kitchen all in walking distance to over 120 shopping, dining and entertainment outlets. Furthermore, we offer complimentary hot breakfast, complimentary wireless internet and free guest parking. Space Notes Our meeting space is located on our lobby level offering plenty of natural light with our floor to ceiling windows. Meetings rooms are equipped with the latest Audio Visual technology.